Maggie and Laura have a good friend who recently released his first mystery novel for middle-grade children. It's getting great reviews! 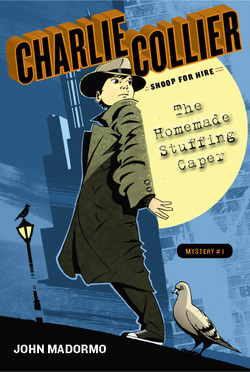 Check out John Madormo's Charlie Collier: Snoop For Hire -- The Homemade Stuffing Caper. Enjoy! Sunzilla: These sunflowers grow up to 16 feet tall and have nice, thick stems to support the weight of the giant flower. Maggie's blog to accompany the show.